Join The Health Club! Go on! You know you want to. In episode three of ‘Feel Good Food’, I chat to Meghan Woods about the wonders of walnuts, pear and cabbage. 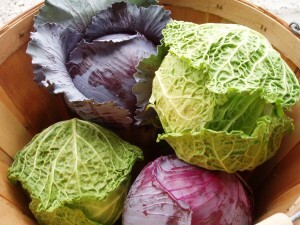 Did you know that cabbage is one of the oldest vegetables dating back to the 1600’s? The Health Club is a monthly program on ABC digital radio, which uncovers health and fitness trends. Discover ways to improve your physical and mental health and learn some delicious and healthy recipes. For more interesting facts about this month’s “feel good foods” and the recipe for my favourite winter salad out of my book ‘From Paddock to Plate’, tune in here.